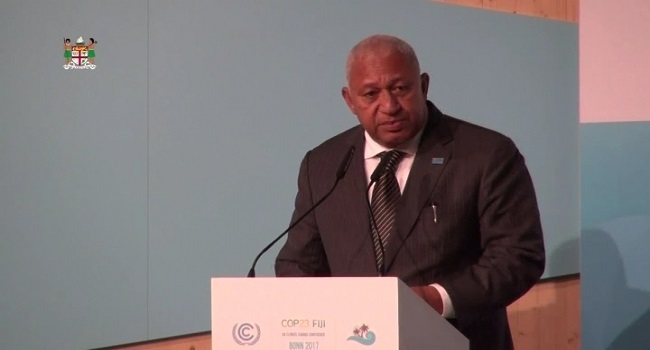 Prime Minister and COP23 President Voreqe Bainimarama has called on delegates in Bonn, Germany to work together to enhance ambitious climate action. Summing up week one of the deliberations, Bainimarama expressed his satisfaction that progress in talks were going well, however he reiterated that everyone needed to play their part. Meanwhile COP23 Climate Champion and Minister for National Disaster Management Inia Seruiratu noted the importance of an inclusive approach at the climate talks. The COP23 meeting will conclude this Friday after two weeks of talks.